GREEN RIVER REVIVAL TRIBUTE TO CCR & JOHN FOGERTY will treat us to the sounds of 'old-school' rock n' roll. Creedence Clearwater Revival (CCR) was an American rock band active in the late 1960s and early 1970s. The band has sold 26 million albums in the United States alone. Their musical style encompassed the roots rock, swamp rock, and blues rock. CCR's music is still a staple of American radio. Songs like, "Good Golly Miss Molly", "Who'll Stop The Rain", "Down On The Corner", and "Bad Moon Risin" put CCR on the charts. Watch this amazing tribute bring the CCR experience back to life! Call for discounted tickets for kids. Most people don't realize just how many songs they actually know in the show that features hit after hit after hit. All of these greatest hits will come back to you during their amazing live concert. You gotta see it to believe it!! 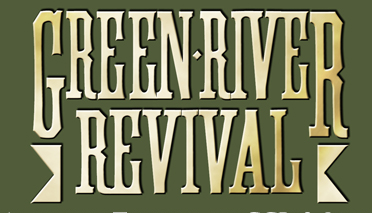 For an exciting show full of nostalgia, sing-a-longs and a down right good old time, you've got it all with the GREEN RIVER REVIVAL! !